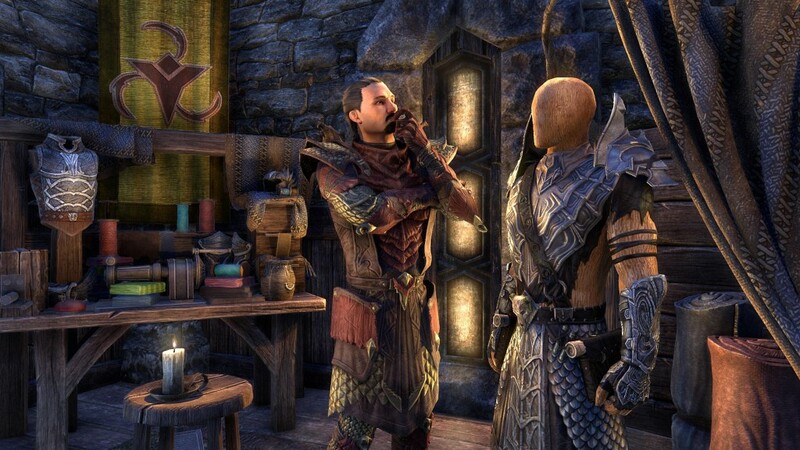 Feast your eyes on the latest looks, pets, mounts, and more coming to the ESO Crown Store in February! Here you can see the new Dragon Bones DLC game pack on 12th this month! Shrike’s Nocturnal Frock – Do you like to keep to the shadows, yet long for a striking look of your own? This will give you something to crow about! Any admirer of the Prince of Night and Darkness will appreciate this eye-catching costume. 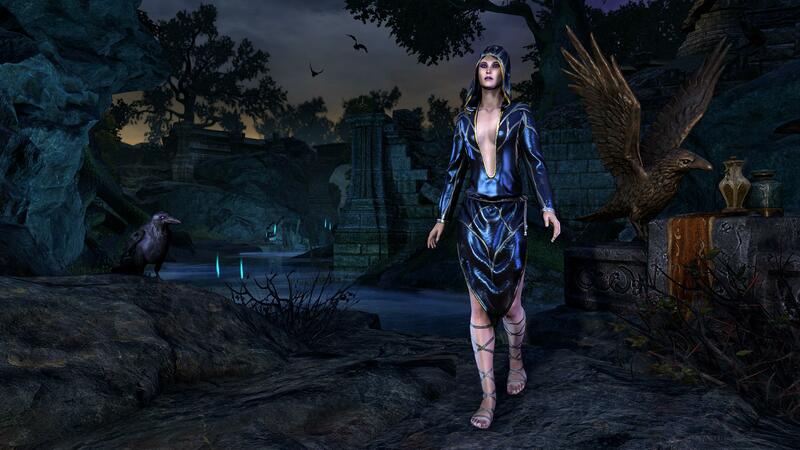 The Shrike’s Nocturnal Frock costume will be available for a limited time on all platforms from February 1 to February 5. 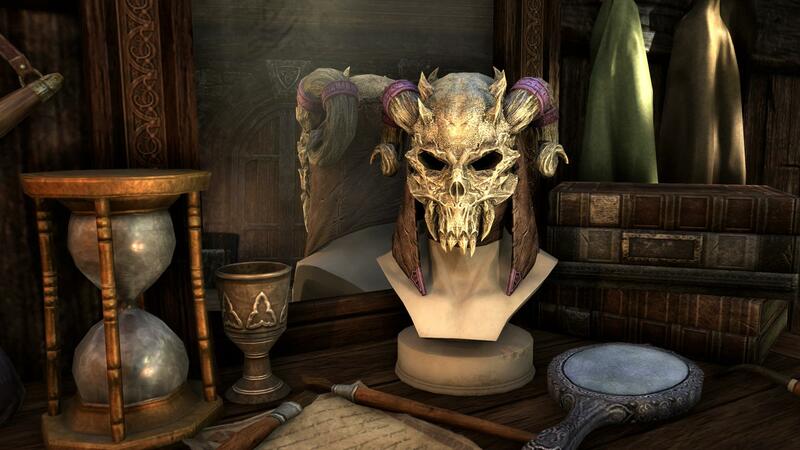 Daedric Death Mask – Daedra Worshiper, do you dare wear a mask that strikes fear into the souls of ordinary mortals? Then the Daedric Death Mask is for you! For as is graven upon its metal horn bands in the dread script of Oblivion: FEAR ABIDES. 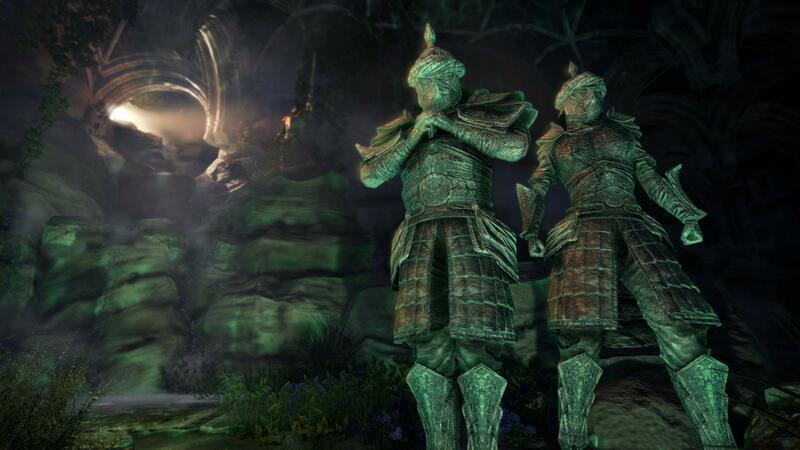 The Daedric Death Mask will be available for a limited time on all platforms from February 1 to February 5. 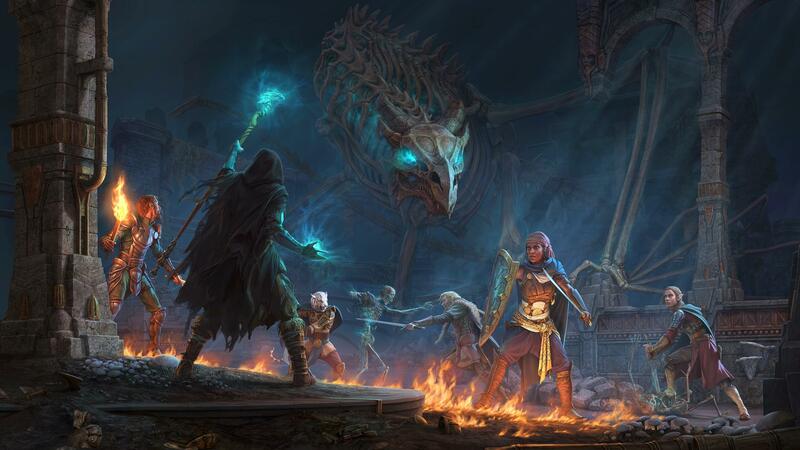 Dragon Bones DLC Game Pack – Cultists conspire to unleash a plague, while necromancers attempt to reawaken a Bone Dragon. Put an end to these threats in the all-new Fang Lair and Scalecaller Peak Dungeons. Earn epic new gear and collectibles, unlocking new unique item sets, Monster Masks, Achievements and more, items exclusive to this DLC Game Pack! The Dragon Bones DLC game pack will be available on PC/Mac on February 12 and on PlayStation 4 and Xbox One on February 27. 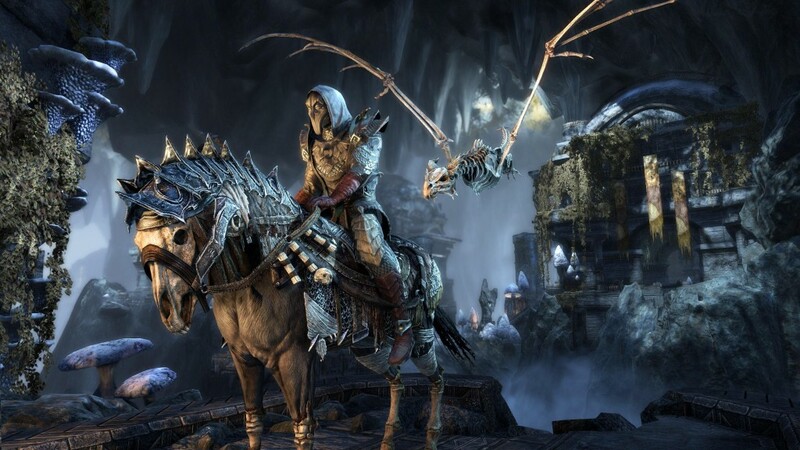 Dragon Bones Collector’s Bundle – In addition to the Fang Lair and Scalecaller Peak Dungeons, this bundle includes the exclusive Fang Lair Courser mount, the Small Bone Dragon Construct pet, and a stack of Experience Scrolls. (Wait till you see little Rattlewing, the Dragon!) The Dragon Bones Collector’s Bundle will be available on PC/Mac on February 12 and on PlayStation 4 and Xbox One on February 27. 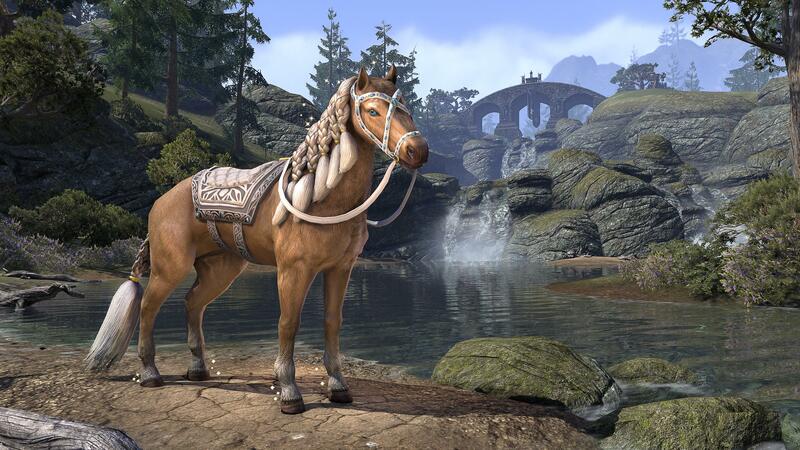 White-Gold Imperial Courser – Created after years of extensive breeding, the White-Gold Imperial Courser is said to be the most beautiful horse in all of Tamriel. With its almost ethereal beauty, these horses have been owned by only the wealthiest riders – until now! 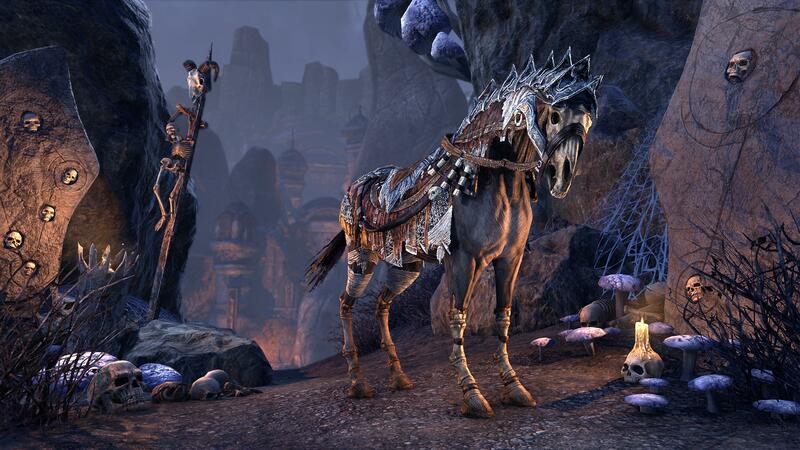 The White-Gold Imperial Courser will be available for a limited time on all platforms from February 8 to February 12. Fang Lair Courser – In Fang Lair, not even ancient warriors’ steeds are safe from reanimation by necromancers! Though to be fair, if you’re looking for “grimly impressive,” look no further – this is the mount for you. The Fang Lair Courser will be available on all platforms with the launch of Dragon Bones and Update 17 on PC/Mac on February 12 and on PlayStation 4 and Xbox One on February 27. 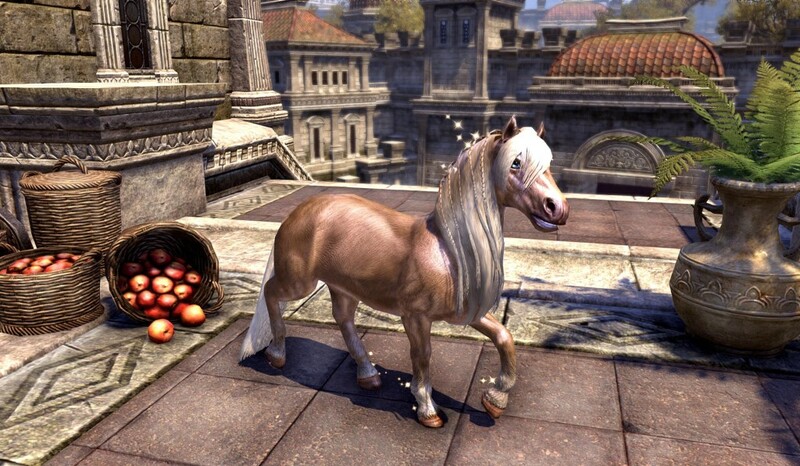 White-Gold Imperial Pony – The White-Gold Imperial Pony was said to have made its debut as the birthday present for a noble’s daughter, though which family can claim this prestige for themselves is still hotly debated by the aristocrats of Cyrodiil. The White-Gold Imperial Pony will be available for a limited time on all platforms from February 8 to February 12. Milady’s White Cat – White cats are sacred to Dibella, the Lady of Love, and all white cats are said to be her representatives in the animal kingdom. A House of Dibella will typically have three or four milk-white cats within its walls. Skeevers beware! 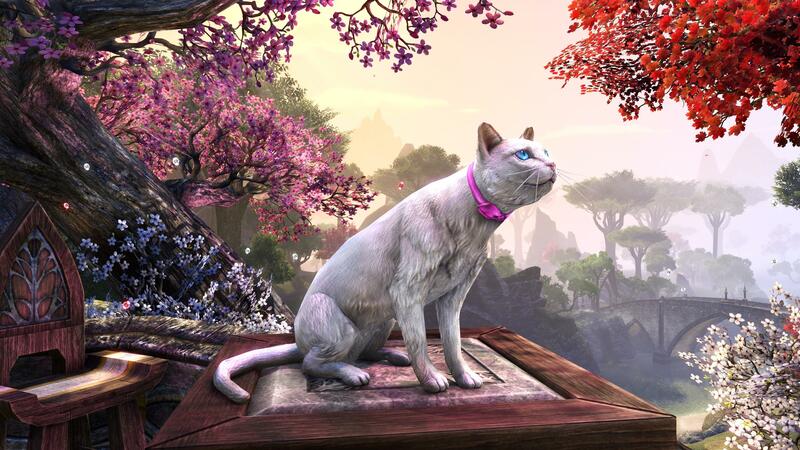 The Milady’s White Cat will be available for a limited time on all platforms from February 14 to February 19. Small Bone Dragon Construct – This construct resembles a great and fearsome Bone Dragon in miniature, but it’s actually a product of the Necromancer’s art, assembled from modern bird and reptile bones and then reanimated. 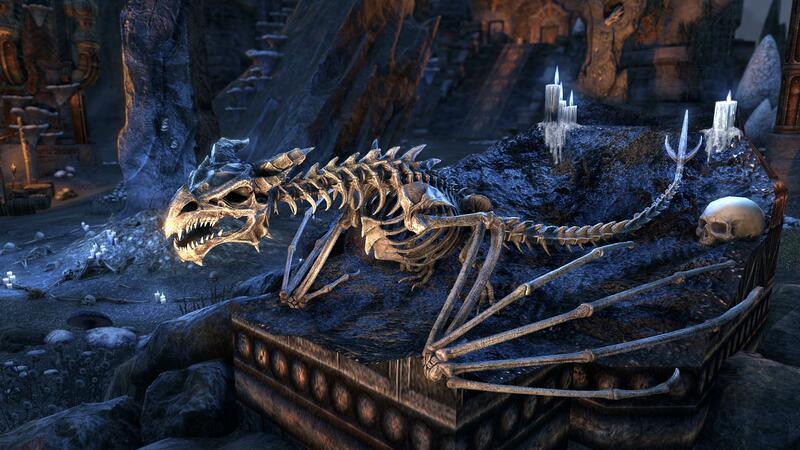 And no, you can’t teach it to play “fetch.” The Small Bone Dragon Construct will be available on all platforms with the launch of Dragon Bones and Update 17 on PC/Mac on February 12 and on PlayStation 4 and Xbox One on February 27. Dread Anka-Ra Polymorph – When Emperor Tarish-Zi returned out of the mists of the past, his ancient warriors rose from the dead to serve him as the stony Anka-Ra, undead that seemed hewn from rock itself. You want people to take you seriously? This could be a good look for you. The Dread Anka-Ra Polymorph will be available on all platforms starting on February 22. Storage Chests (Fortified, Oaken, Secure, and Sturdy) – These metal-bound chests can be placed in multiple homes, and always accesses the same personal storage space. Unlike bank storage, items in this chest do not appear at crafting stations. 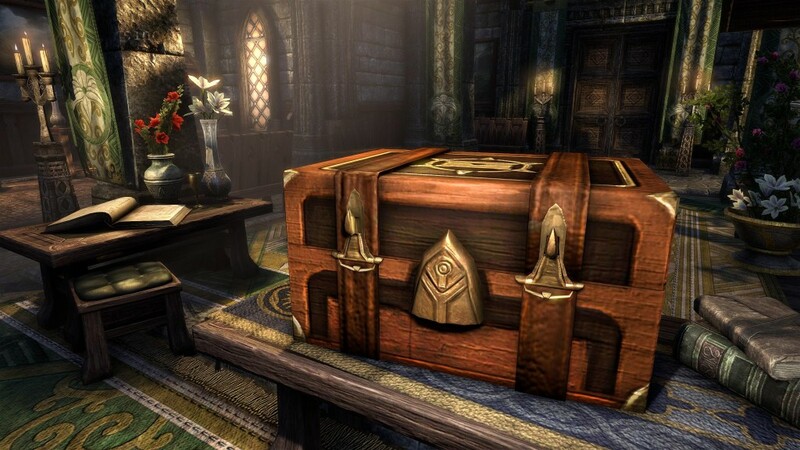 A chest is the largest storage container, holding up to 60 items. The four Storage Chests will be available on all platforms with the launch of Dragon Bones and Update 17 on PC/Mac on February 12 and on PlayStation 4 and Xbox One on February 27. Storage Coffers (Oaken, Secure, and Sturdy) – These sturdy coffers can be placed in multiple homes, and always accesses the same personal storage space. 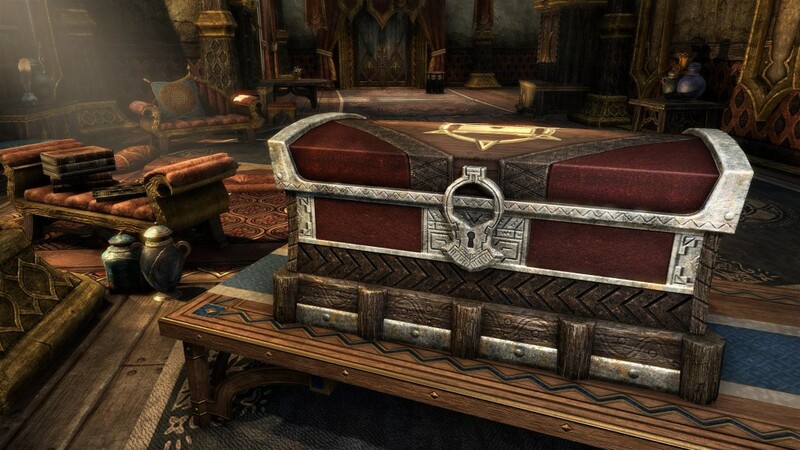 Unlike bank storage, items in this coffer do not appear at crafting stations. A coffer is the smallest storage container, holding up to 30 items. The three Storage Coffers will be available on all platforms with the launch of Dragon Bones and Update 17 on PC/Mac on February 12 and on PlayStation 4 and Xbox One on February 27. Outfit Slots – Each purchase increases the number of available Outfit Slots by 1, up to a maximum capacity of 10. The Outfit Slots will be available on all platforms with the launch of Dragon Bones and Update 17 on PC/Mac on February 12 and on PlayStation 4 and Xbox One on February 27. 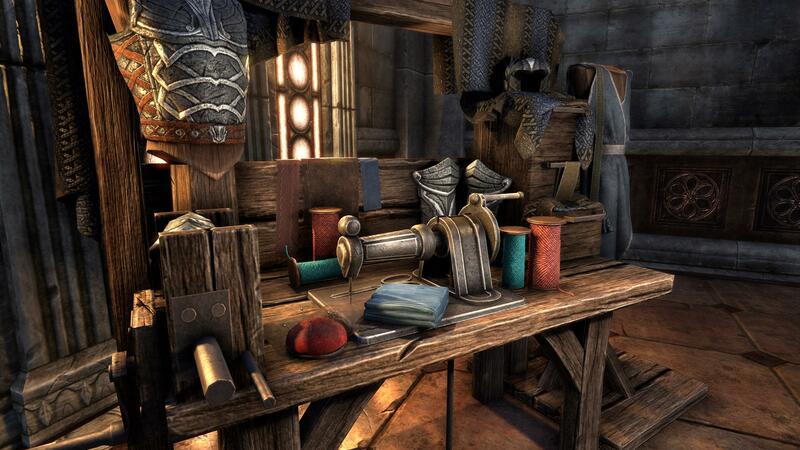 Outfit Tokens – An Outfit Token is a voucher for one free Outfit alteration, redeemable at any Outfit Station. The Outfit Tokens will be available on all platforms with the launch of Dragon Bones and Update 17 on PC/Mac on February 12 and on PlayStation 4 and Xbox One on February 27. Research – Use of a scroll reduces each in-progress Blacksmithing, Clothing, or Woodworking Research Timer by 7 or 15 days. If a Research Timer has fewer than 7 or 15 days remaining, respectively, it will be complete the research. 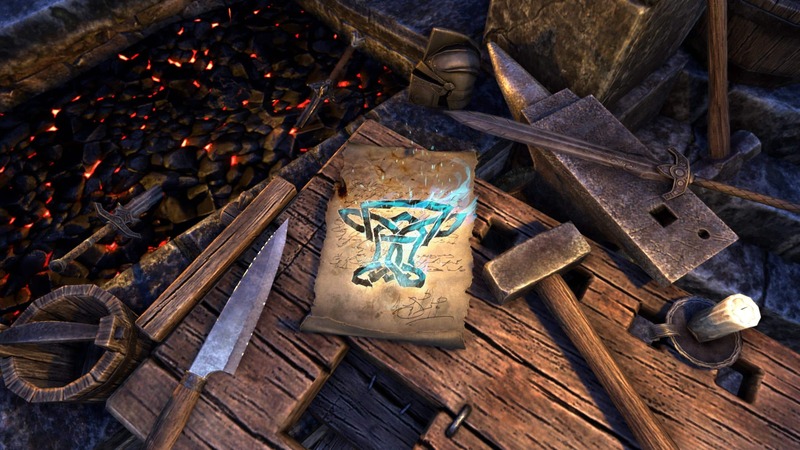 The 15-Day and 7-Day Research Scrolls will be available on all platforms starting on February 15.